A new state law in Massachusetts might change how some field service employers are hiring new employees. The legislation that just passed makes it illegal for employers to ask a candidate their salary history until after the employer makes a job offer complete with compensation package information. Massachusetts is the first state to enact a law like this(it doesn’t officially go into effect until January 2018), but there will likely be more states that will follow. It is a law that is made to protect employees from pay discrimination and protects employees from businesses that might use their salary history against them. As an employer, this might force you to change the way you make hiring decisions. Field service businesses are struggling to find and keep good employees as is and this law might actually make it more difficult to find employees. The biggest change might come in how you are presenting job openings. The conversation turns from businesses playing their cards close to the chest to laying it all out on the table before you even start searching. How can you win employees? Simple. It is the same notion that so many larger companies are making a cornerstone of their values and core beliefs and what field service businesses can do to gain employees - be transparent. Be transparent with how you’re presenting the job, how you talk about your company, what you expect from candidates and what candidates can expect from you. Transparency isn’t always the easiest route to follow. Candidates might ask you questions that could be uncomfortable for you to answer or it might not be what you want to tell them, like questions about pay, benefits or time off. If you know that you aren’t paying as well as other businesses in your market, you might need to sell candidates on other benefits of working for your business. Do you have flexible scheduling? Do employees receive a decent amount of paid time off? Maybe you offer opportunities for continuing education - that can be incredibly important for some employees. 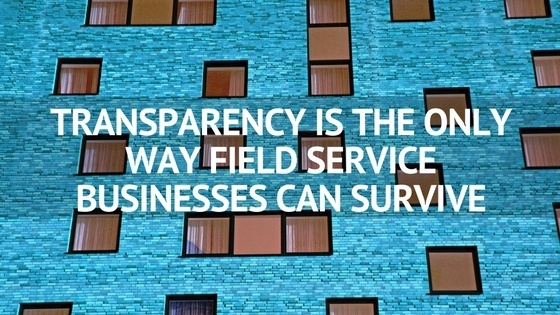 Transparency is about running your business like a clean “open-view kitchen” in a restaurant. Your employees know about what is happening with the business and they are empowered to take the steps needed to take care of their customers. When people can see how a business operates and know what they can expect, you remove the negative surprises which can lead to a loss of customers or the loss of good employees. Want to learn more about how to hire awesome employees? Download the free guide to creating a successful hiring plan. Just click below!